If you missed an opportune time this summer to start a plant growth unit, don't fret! Fall brings plenty of exciting plant activities, like our fall fruit dissection. After dissecting and identifying the parts of fruit, you can then discuss its life cycle from seed to new fruit growth (which we’ll cover next week inshaAllah). 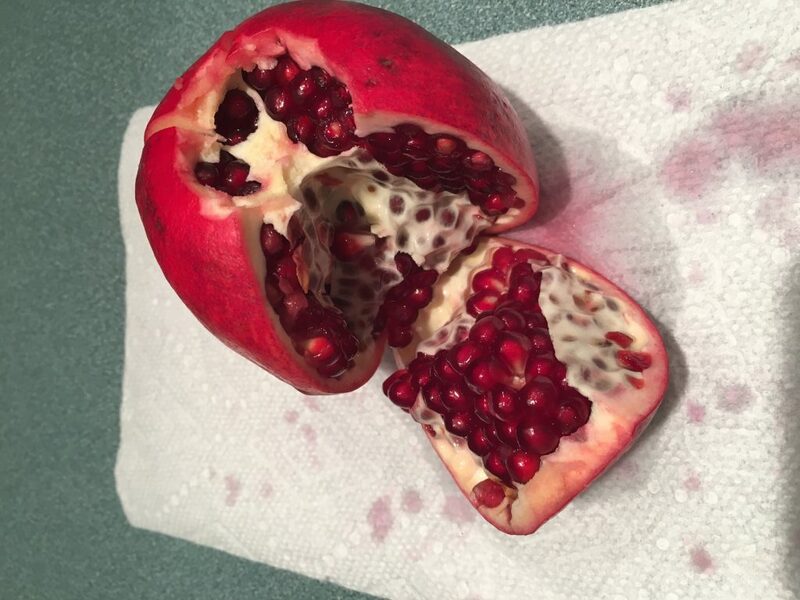 For our dissection we chose pomegranate since it’s mentioned in surah Ar-Rahman as one of the fruits of Paradise. It was mentioned by Ibn Kathir that date palms and pomegranates are mentioned by name because of their superiority over other fruits. This activity will work just as well with any other fall fruit, such as, apples, pears, or pumpkins. Let’s get to dissecting! Along the way be sure to identify the following parts: skin, flower remnants, membrane, aril, and seed. 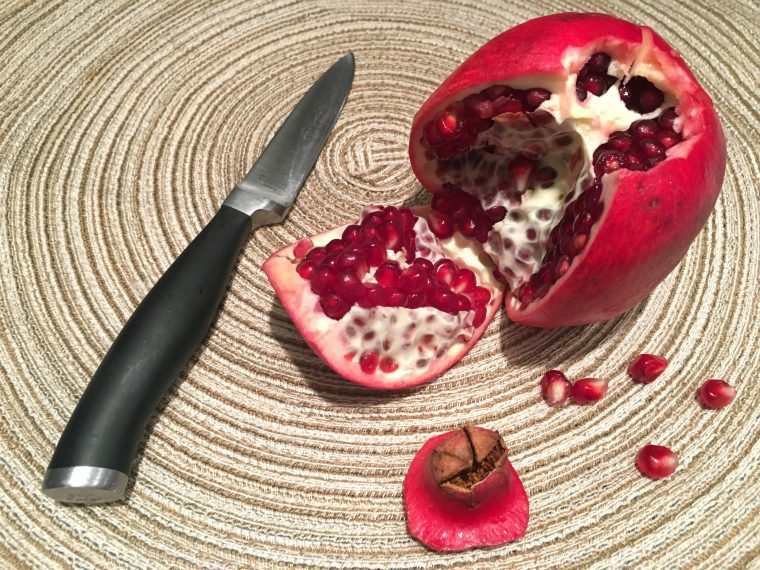 There are many theories on the perfect way to cut a pomegranate; feel free to use whichever way you’re most comfortable with. Using a paring knife, score, or cut shallowly, a circle around the crown-shaped piece (this is actually flower remnants, believe it or not!). Remove the crown, exposing a white membrane with small sections of edible, ruby-red seed pods, also called arils. 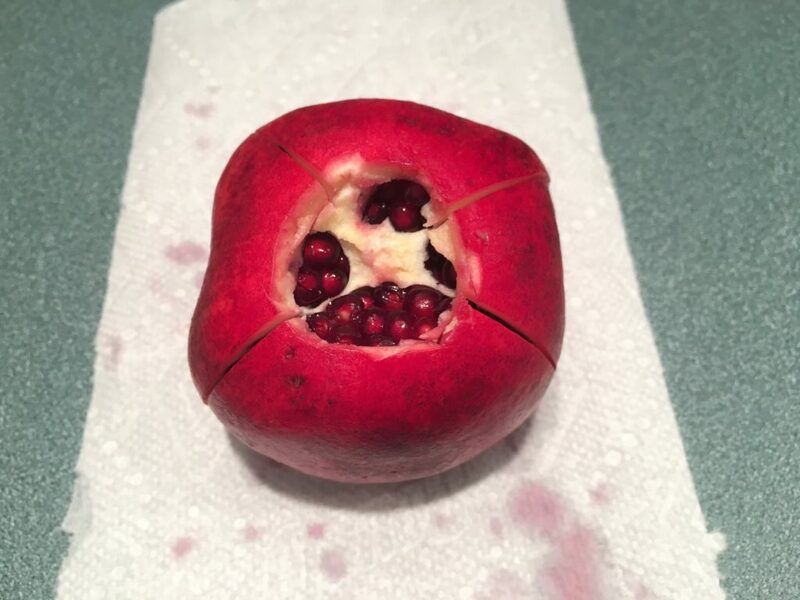 To remove some of the arils, score the skin of the pomegranate from the newly exposed top to the bottom of the fruit at each membrane divider. Gently peel apart the sections, and remove a few arils for closer inspection. To expose the actual seed, make a small slit in the aril and remove the seed pod. And, voila! 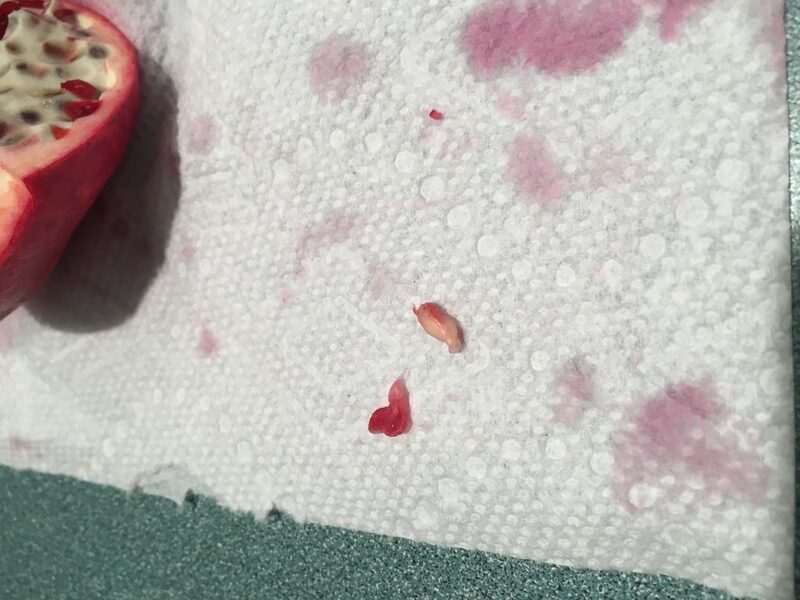 You've officially dissected a pomegranate. Below, I’ve included a free, complimentary pomegranate coloring sheet with answer key. After the actual dissection is complete children can reinforce what they've learned by coloring and labeling the different parts of the fruit on paper. P.S. I’d love to see what you’re working on! Nothing brings me greater joy than seeing your little ones enjoy our activities. Tag @LaylahsClassroom or use the hashtag #laylahsclassroom while completing this activity to be featured on our Instagram and Facebook page! Where should we send your free Pomegranate Anatomy coloring sheet? Success! 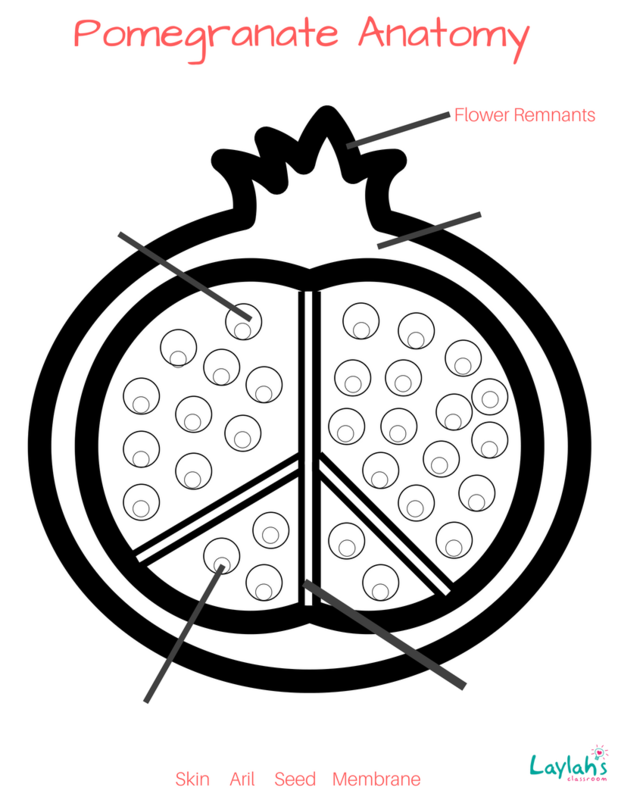 Now check your email to download your Pomegranate Anatomy coloring sheet.